The Learning Objective Maker is a tool to assist you in creating perfect learning objectives. Learning objectives are the backbone of learning, all professional e-learning developers create their courses based on learning objectives. If you create bad learning objectives – that aren’t measurable – you will get equally bad courses. To solve this problem, we built in a tool that will guide you through creating perfect learning objectives, based on the industry standard: Bloom’s Taxonomy. The Learning Objective maker offers a few simple steps that will help you in creating perfect learning objectives. To start using it, create a new section, under the section title add the Learning objective and click on Use learning objective maker. First, you’ll need to think about your audience. Define the learners who are going to complete your course. According to each level, we offer a wide selection of measurable verbs. Choose the best one for you. Then describe the task your learners should be able to perform (skip the verb as it’ll be added automatically). 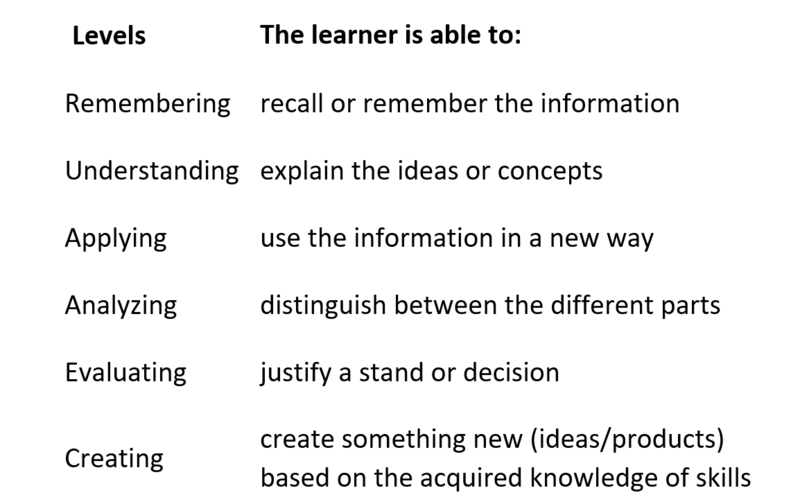 Finally, describe the conditions under which your learners should be able to perform the task. When ready, you can use the learning objective in your course. It’ll be added under the section title. You can edit it manually if needed. You can add proper content and questions based on your learning objectives. The great thing is that you can track the results of your learners immediately and see if they meet their learning goals. At the moment the learning objectives are shown only to the course author. The team is now working on the new simple course template where the objectives will be shown to the learners.